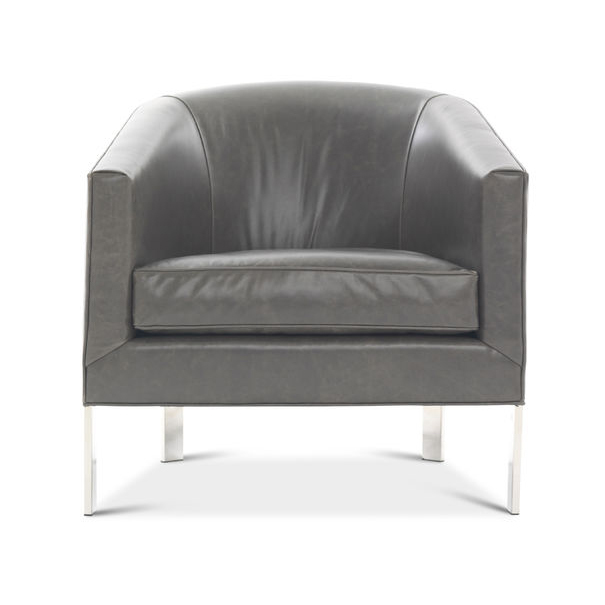 Shown and priced in rich leather Tuscany Grey Slate with frame finished in gleaming polished stainless steel. 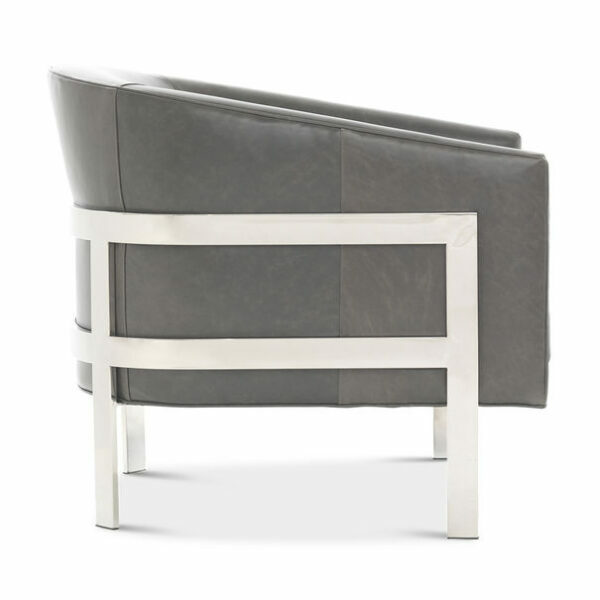 A modern design standout: our comfortably upholstered barrel-back chair suspended in a sleek metal frame. 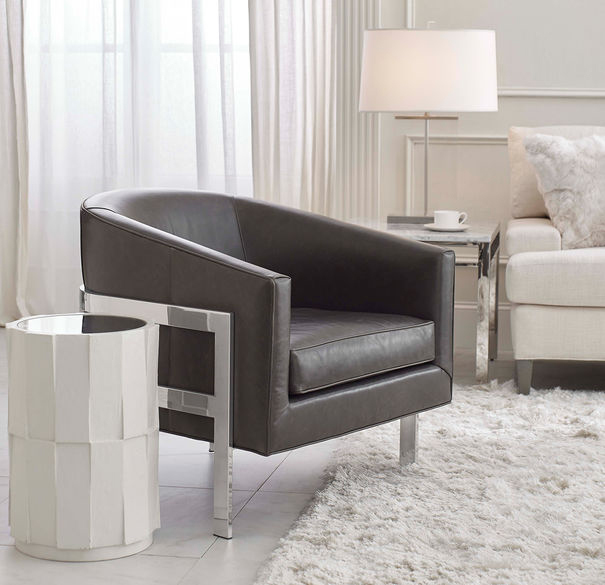 Adds a welcome curve to a room. Looks great in pairs. 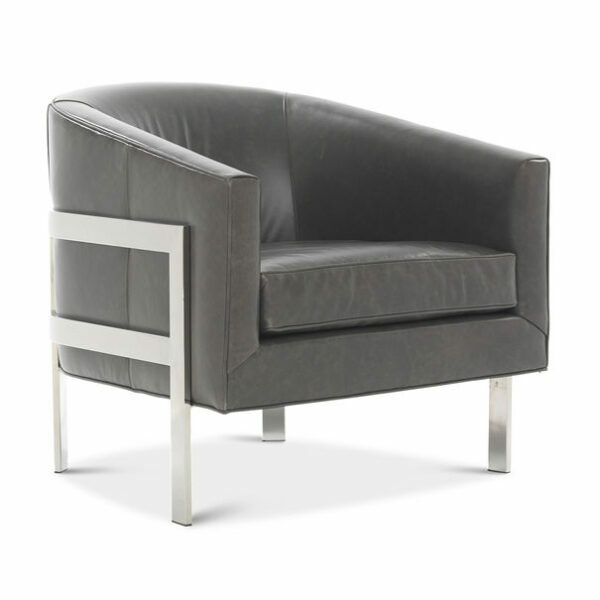 Chair can also be upholstered in fabric and additional leathers. 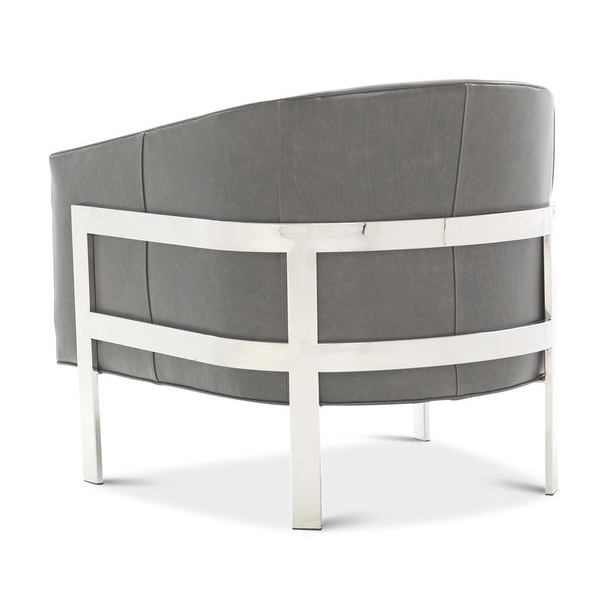 Frame is available finished in polished stainless steel or warm shimmering polished brass. Call, email or stop by for availability and pricing.